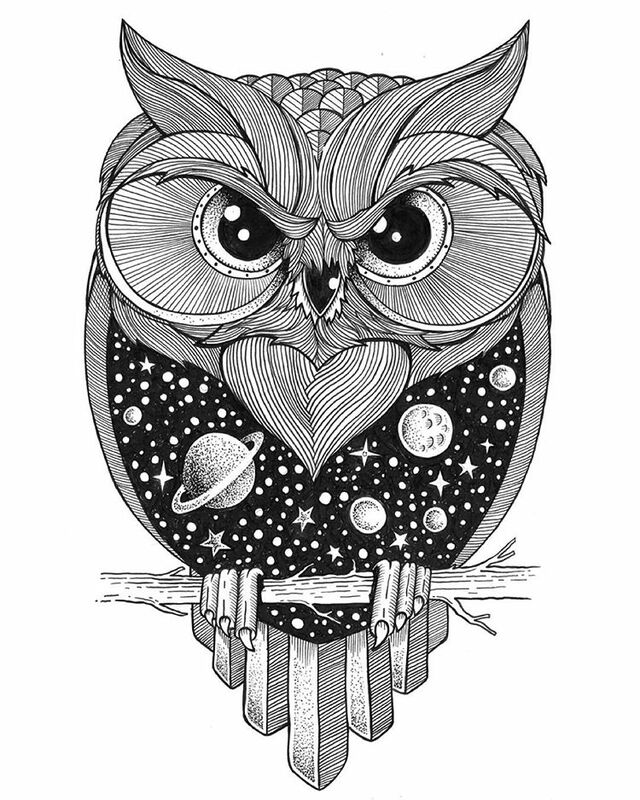 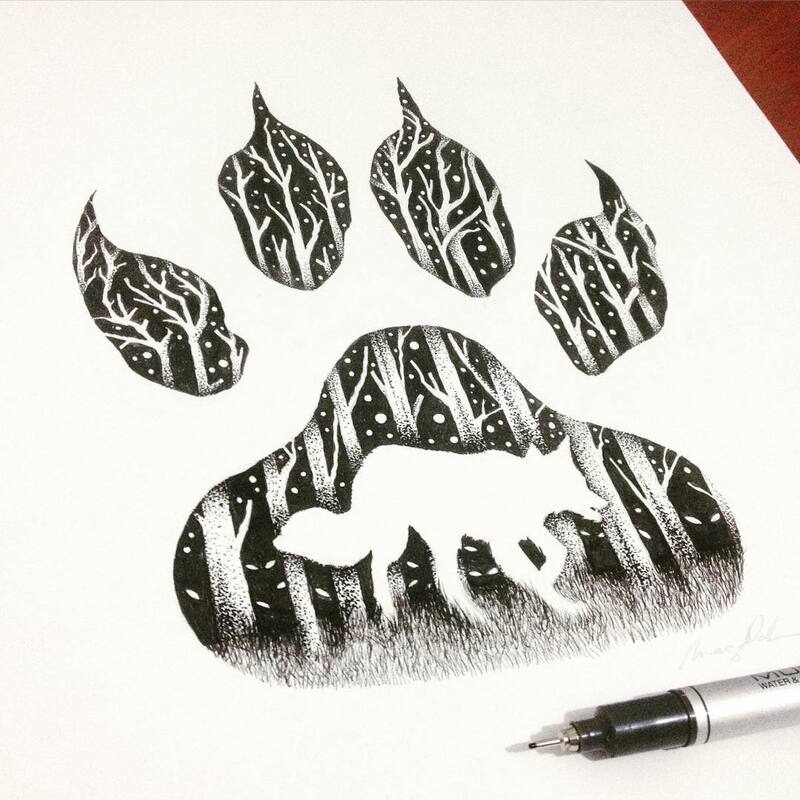 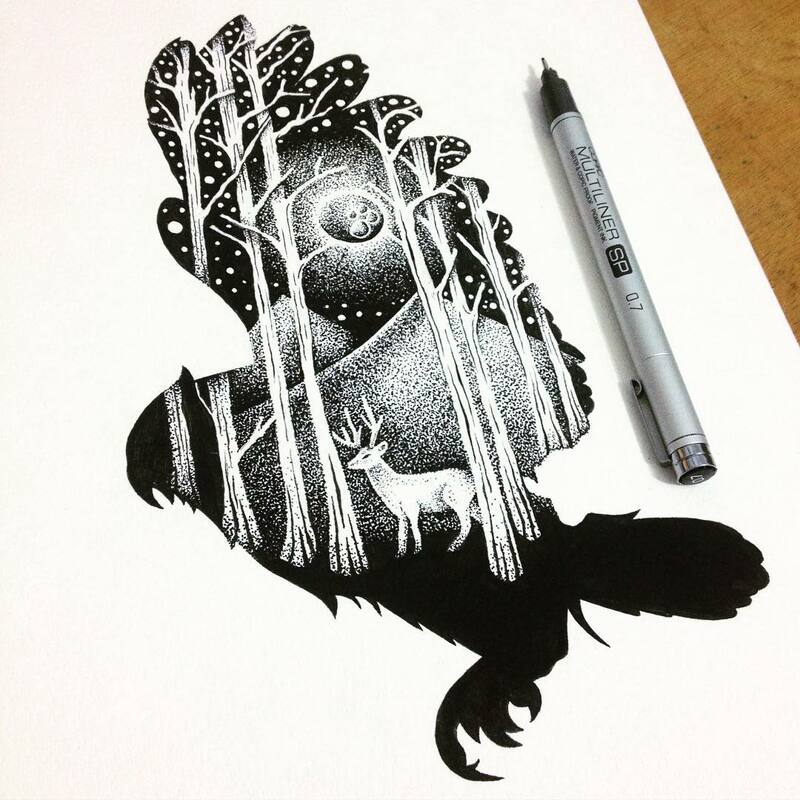 Illustrator and graphic designer Thiago Bianchini reveals a deep reverence for the mystical majesty of the animal kingdom in thousands of intricate ink markings. 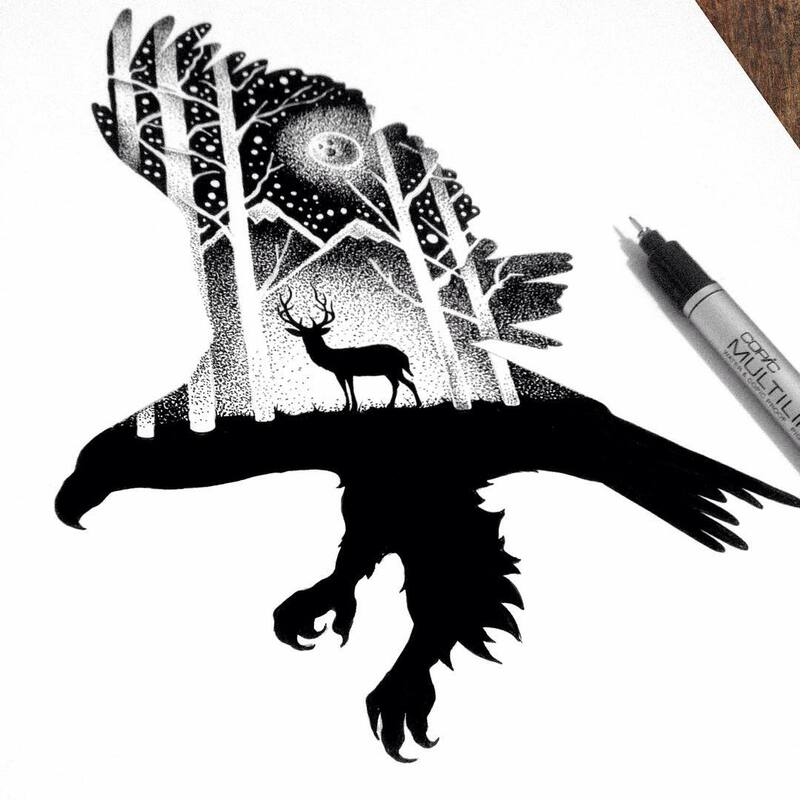 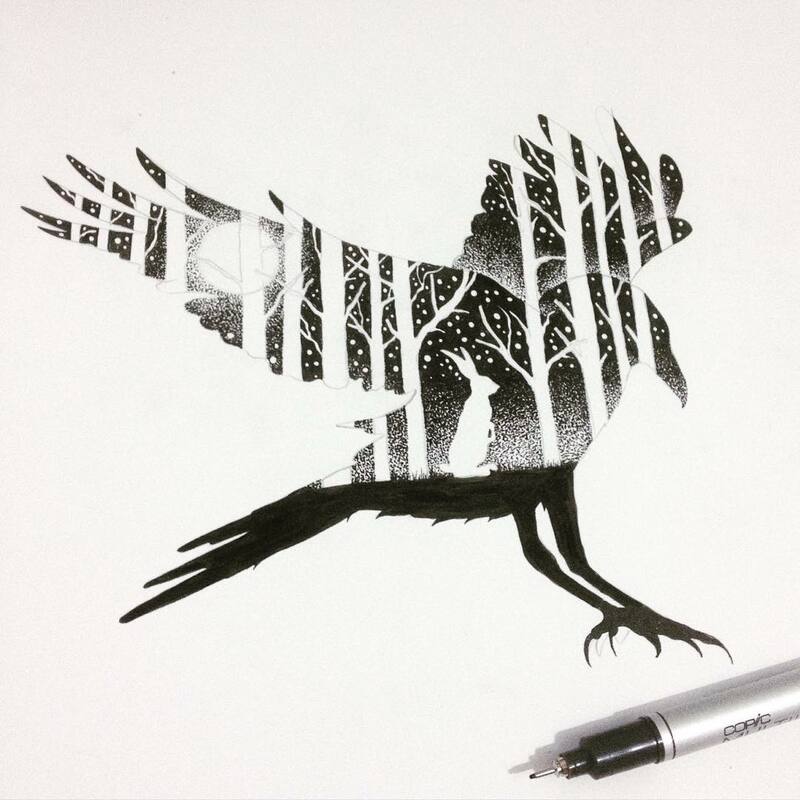 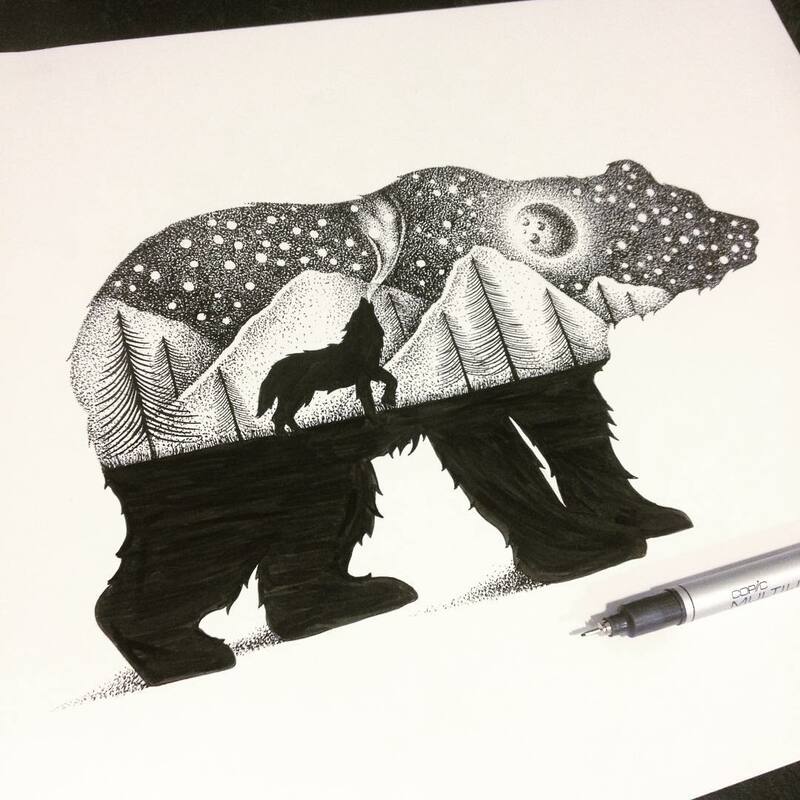 Inspired by double exposure photography, he uses meticulous patterns of tiny dots to form celestial skies, trees, and mountains within the silhouettes of wild creatures. 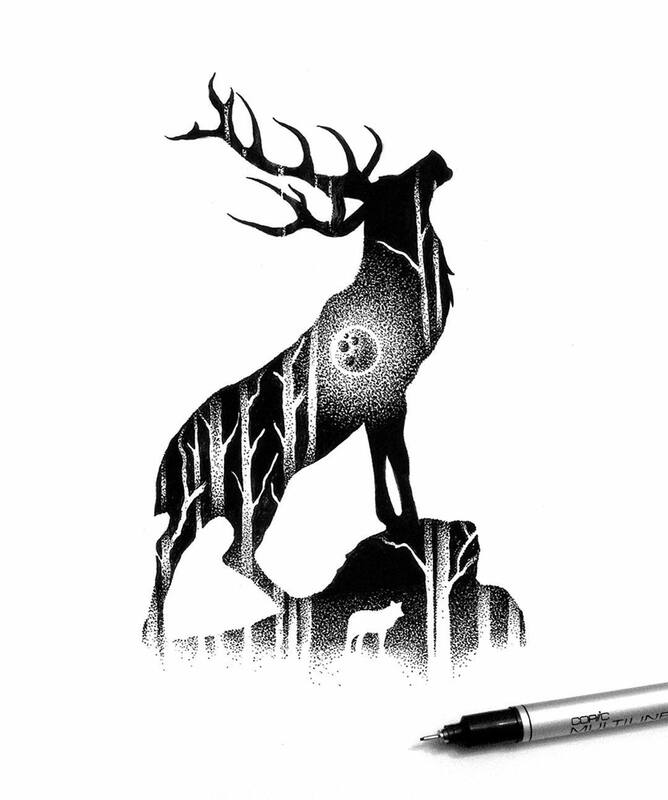 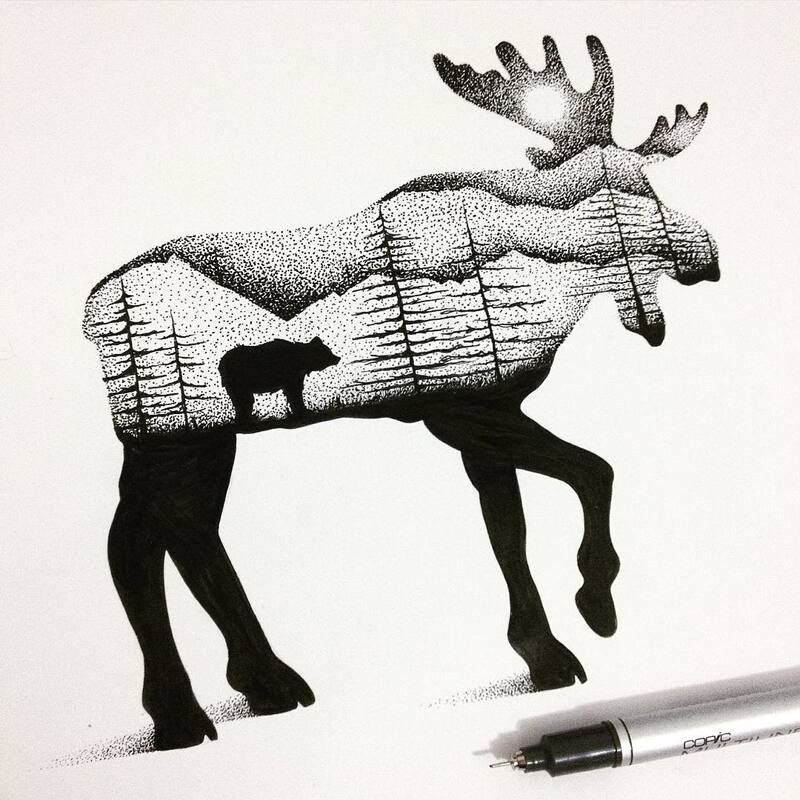 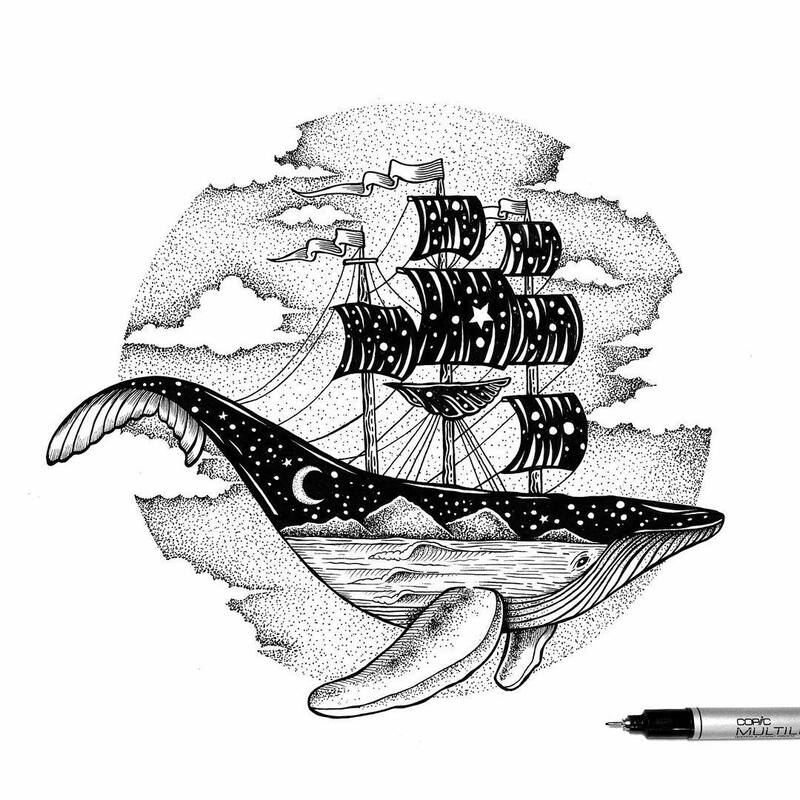 The dot drawing technique called stippling demands patience and precision, and each piece takes around four hours to complete. 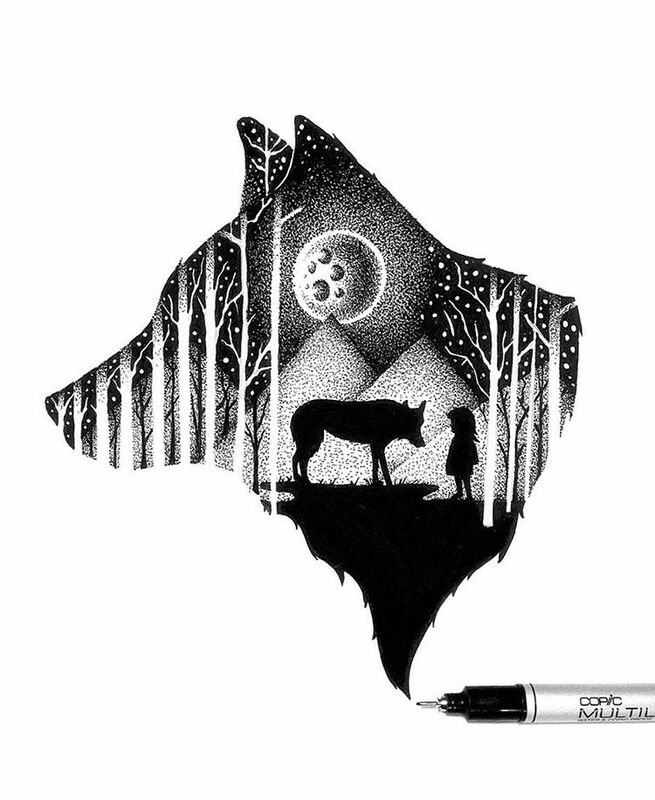 The final results are as spellbinding as storybook scenes, at once earthly and otherworldly.